Steady light rain this morning. Showers continuing this afternoon. Colder. High 51F. Winds NNW at 5 to 10 mph. Chance of rain 80%..
Cloudy skies early, followed by partial clearing. Slight chance of a rain shower. Low around 35F. Winds NNW at 5 to 10 mph. Caryl L. Goehring, 85, Moorhead, Minn., died Aug. 20, 2018, at Eventide Senior Living Community, Moorhead. A memorial service will be held at 1 p.m. Friday, Aug. 24, at Wright Funeral Home, Moorhead. Visitation will be held one hour prior to the service. Arrangements are pending with Wright Funeral Home. Caryl Lee Ayers was born on Nov. 12, 1932, to Otto and Georgia (Bailey) Ayers, in Bismarck. She grew up and attended school in Bismarck, graduating from St. Mary’s in 1950. On Sept. 15, 1962, Caryl married Quentin L. Goehring in Washburn. They had three children, Karl, Kimberly and Kelly. Caryl owned and operated a beauty salon in Underwood until 1966, then the family moved to Brandon, Minn., where Quentin worked for Brandon Ag Service Center. Caryl was a homemaker until 1970 when she started working as the school cook. In 1984, Caryl and Quentin moved to Toston, Mont., where Missouri River Grain Company employed him. In 1986, Caryl and Quentin relocated to Ellendale, where Farmers Coop Elevator employed Quentin and Caryl worked as a beautician. In 1995, they moved to the Fargo-Moorhead area and retired in rural Moorhead. 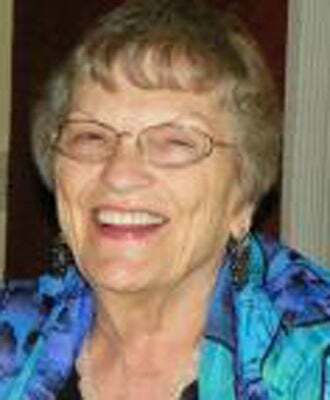 Throughout her life, Caryl enjoyed painting, riding horse, playing card games, dancing and traveling. She loved meeting new people and visiting old friends. Caryl loved to sew clothing and costumes for her children and grandchildren and she always baked double batches of cookies for the many visitors to her home. Caryl was kind, funny and loved by her friends and family. She is survived by her sons, Karl (Julie) Goehring, Moorhead, and Kelly Goehring, Milbank, S.D. ; brother, Milan Ayers, Joshua, Texas; grandchildren, Tarah, Seth (Alicia), Erin (Derek), Melissa (Adam), Matthew, Marcy and Jocelyn; and great-grandchildren, Anthony, Kolton, Audrey, Aubrey, Ethan, Briley, Christian, Ransom, Weston and August. Caryl was preceded in death by her parents; sister, Wanda McGarvey; brothers, Wayne and Paul Ayers; husband, Quentin; and daughter, Kimberly. Online guest book and video tribute at wrightfuneral.com.